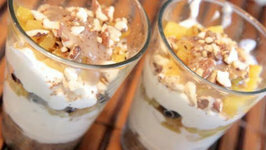 Today we're making a Blueberry Pineapple Parfait. 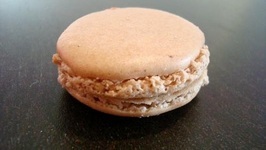 This recipe is gluten-free, soy-free, and there is no sugar added. 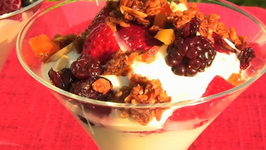 Parfait is a French word which is a kind of frozen dessert that dates to 1894. simple, can be designed to be healthy and very delicious. Serve as a breakfast or dessert. 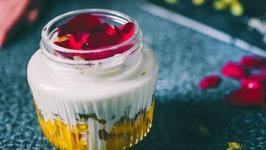 It's just two days to the weekend, so we bring you this Mango Rabri Parfait to satisfy your sweet tooth while you are facing some midweek blues. 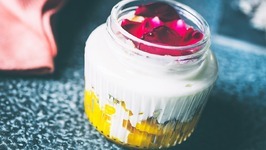 Learn how to make this yummy tasty Mango And Rabri Parfait in a Jar Recipe. 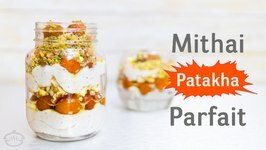 Learn how to make Daliya Parfaits With Peach and Cherry. 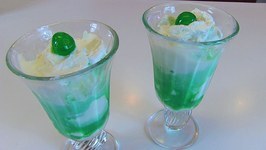 Bettys husband, Rick, demonstrates how to make a Creme de Menthe Parfait. 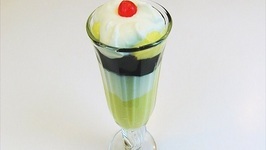 This is a delicious and pretty dessert for St. Patrick's Day. This dessert contains alcohol. 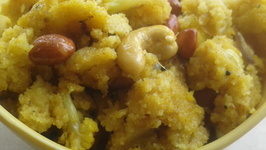 Deepavali, the festival of lights or the brightest festival of India is so close. Meeting Old friends, Family Gatherings, following traditions, Distributing Sweets, ..
Betty demonstrates how to make Cherry Cheesecake Parfait. 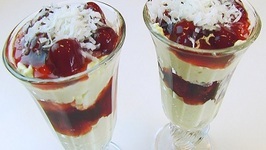 This is a gorgeous dessert with cheesecake and cherry pie filling layers, topped with flaked, sweetened coconut. 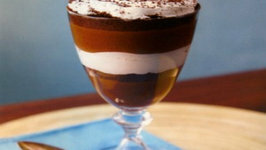 Betty demonstrates how to make a Boston Cream Parfait. This is a gorgeous and delicious dessert for your Mother's Day table. 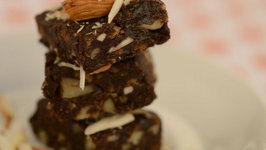 An interesting variation of the traditionally baked brownies. These rich, dense goodies are ready to eat in 1 hour. These brownies are full of chocolate, caramel, and nuts are extremely rich and decadent. They are also very easy, my mother taught me how to make these when I was 12. Thanks to Ifood.tv for organizing such a great contest every month in which we feel connected with other community members. What do you prepare when you have nothing but left over rice at home and kids are super hungry? 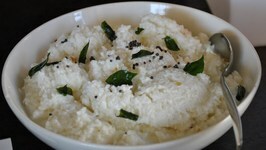 Curd rice is the ultimate quick fix for all such situations that a busy mother faces. 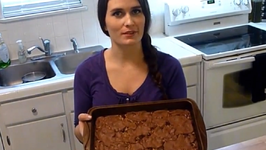 In this video, Betty demonstrates how to make Chocolate Toffee Pudding Parfaits. 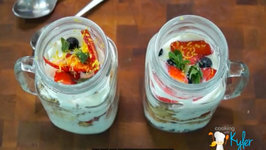 These parfaits are delicious and very pretty. 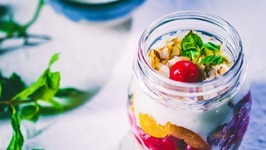 I've been getting requests for more breakfast recipes so I figured why not start with and easy but delicious choice, Fresh Fruit Yogurt Parfaits with Homemade Sweet Granola.